Throughout life, there are events that require skillful legal counsel. Transitioning a parent to a nursing home. Obtaining a guardianship. Buying or selling a house. The passing of a close relative. These landmark events should cause you to obtain guidance from an experienced attorney. At Gosselin Law, we center our practice on helping clients with the legal issues associated with these events. We not only respond quickly in times of crisis, but we also help clients proactively prepare for the future. 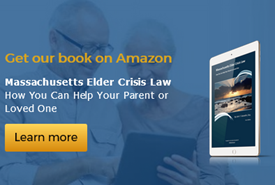 John Gosselin set out to form his own firm over two decades ago to provide both the highest quality and most compassionate legal services possible in Massachusetts. Over the years professionals and paraprofessionals who share this vision have joined the practice to form one of the most highly elder-focused law firms in the country. While many clients initially seek our services during a time of crisis, we take pride in the fact that they continue to rely on our legal services at other times because of the trusted personal relationships we develop. To us, Elder Crisis Law means helping people in good times, as well as bad — and building long-term relationships that stand the test of time. We believe in being educators as well as advocates. Understanding that you may be dealing with a legal issue for the first time, our attorneys will educate you about your specific situation so that you may feel more confident and secure throughout the process. We offer a free initial phone evaluation with a member of our staff. If you decide to engage our services, we will quote all fees in writing prior to commencing any work so that you will always know what to expect. Gosselin Law offers our clients the added convenience of satellite locations throughout Massachusetts and the Boston area. All offices are handicapped-accessible and evening appointments are available upon request. Statewide in-home appointments are also available in Massachusetts (a service fee may apply). 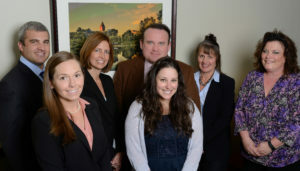 To schedule a consultation with Gosselin Law, contact our firm.